The team at Eurocentres Canada is honoured to be recognized by Canada Journal for Best Academic Content for ESL School 2017 and Best Multinational ESL School 2017 we pride ourselves on. Our academic staff always strive to provide top level support to help our students progress quickly and achieve their academic goals. 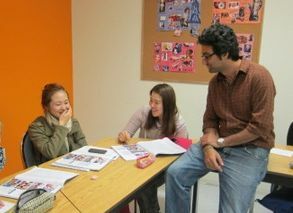 Our sales team works hard around the world to achieve the fantastic nationality mix that students enjoy at our schools. 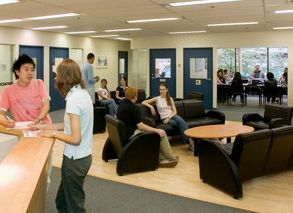 It is wonderful to see the results of this hard work in our schools and in our students' success. We are proud to partner with Canada Journal as we know and trust in the great service that they provide the students they send to us. We are confident that 2018 will bring another year of exceptional quality for both Eurocentres Canada and Canada Journal! 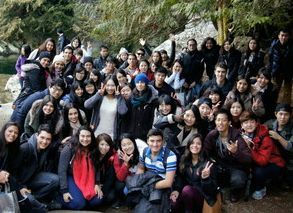 I've been at Eurocentres Vancouver for 11 weeks.While the general lessons are fixed, a wide range of elective courses are available.The possibility to change the elective courses gives you the chance to learn different things and meet new people. 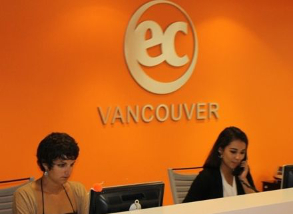 Eurocentres Vancouver is located in the heart of Vancouver (3 Minutes from Waterfront Station). Coffee shops, food courts and grocery stores are nearby.